Trade and diplomatic exchanges are blossoming across the Horn of Africa after a series of treaties between Eritrea and its neighbours. 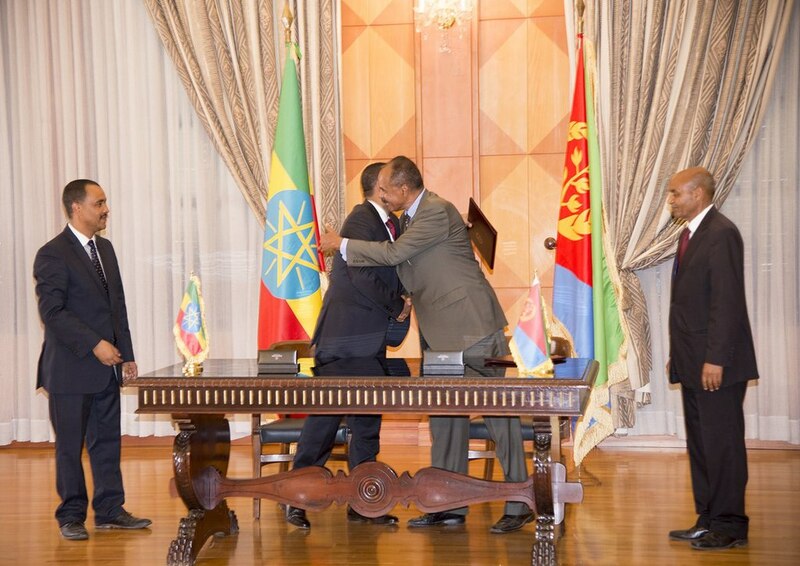 The signing of a peace treaty between embittered neighbours Eritrea and Ethiopia on July 9 was a tectonic shift in Horn of Africa relations. After being annexed by Ethiopia in November 1963, Eritrea witnessed a bloody struggle for independence that was not achieved until 1993. Later that decade, disputes regarding contested border towns descended into violence, which saw approximately 80,000 people killed. 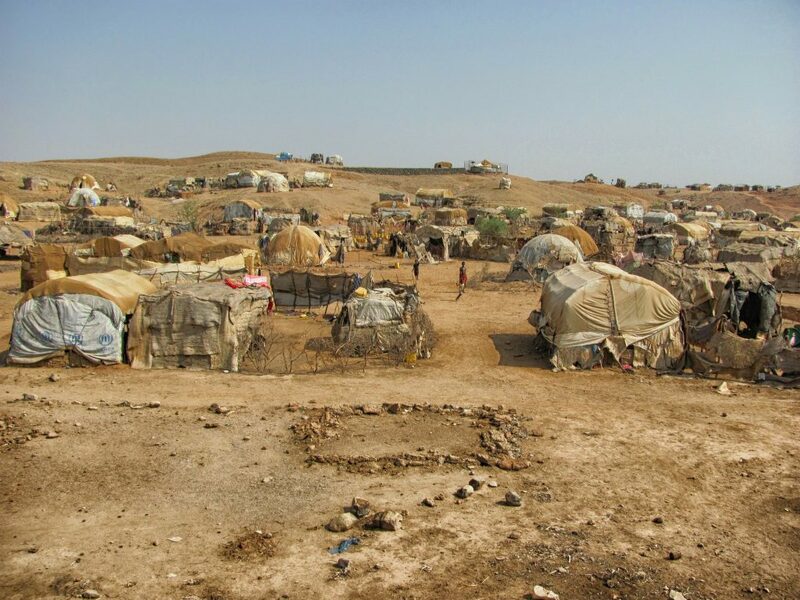 Although the fighting stopped in 2000, enmity remained; the UN repeatedly criticised Ethiopia’s non-observance of mandated demarcations between the two countries. The new peace deal, largely facilitated by Ethiopia’s trailblazing Prime Minister Abiy Ahmed, is, in reality, a formal treaty “fully accepting and implementing” the 2000 peace agreement that was never honoured. The leaders of Ethiopia and Eritrea have celebrated the settling of the contentious border town of Badme, joint efforts for regional peace, and ending the state of war. As if caught in the conciliatory fervour, Djibouti signed an accord with Eritrea on September 11 agreeing to normalise relations after a decade of border disputes. The relationship between the two states has been abysmal, as Djibouti provided Ethiopia with logistical and intelligence during its war with Eritrea. Sporadic fighting over the contested Ras Doumeira area compounded hostility between the two, with Qatar mediating the dispute and deploying a peacekeeping force in the disputed regions. Analysts suggest durable regional stability will not be possible without amicable relations between Djibouti and Eritrea. During its protracted war with Eritrea, Ethiopia lost its access to Eritrean ports and coastline — a major crisis for the landlocked country. 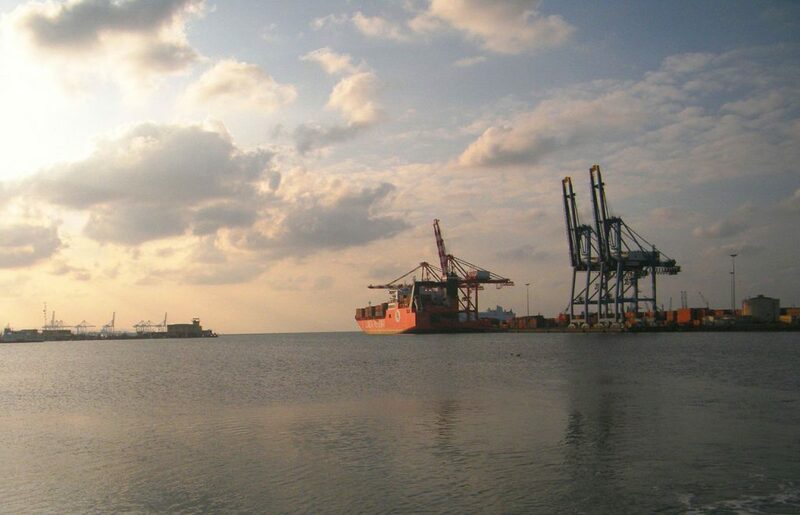 Ethiopia has since relied heavily on Djiboutian ports and infrastructure for its imports and exports; approximately 95%of all Ethiopian goods transit via Djibouti. 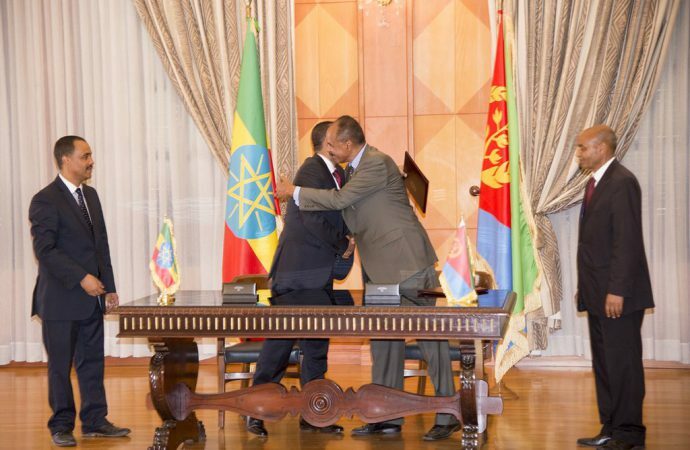 Despite close bilateral relations, Djibouti’s trading terms with Ethiopia are rather predatory. Usurious port usage rates — estimatedat over $1 billion annually — have fostered Ethiopian ire towards Djibouti. The opening of commerce and free travel between Eritrea and Ethiopia seem indicative of economic flowering to come. For Ethiopia, an emerging economic force in East Africa, new trade routes and markets will help it step into the limelight as the regional powerhouse. As the fastest growing economy in the region, securing better access to the Red Sea is a major diplomatic success. With strategic interest in the critical Eritrean port of Assah, Addis Ababa will likely no longer have to bear the brunt of levies extracted by Djibouti for port usage. Joint construction processes, infrastructure sharing, and softer borders will afford Ethiopia the luxury of diversifying its transit options. For Eritrea, whose economy has dwindled following the wars and internal dysfunction, the olive branch of financial reintegration is substantial. An expanding foreign market presence within its $6.1b economy is a much-needed opportunity for rehabilitation. Any economic developments that might assist the estimated 50% of the population living below the poverty line will be well received. Highway access and port leasing agreements with Ethiopia are likely candidates for state income as the country emerges from the cold. With the opening of borders between the three countries, Djibouti seems set to lose its distinct regional monopoly on trade transit, and with it, considerable capital. President Ismail Omar Guelleh’s penchant for extortionate rates of port use is maligned in Addis Ababa and his clustering of foreign military bases in close quarters has irritated the US. With Eritrea now entering into the regional marketplace, Ethiopia is likely to diversify its port holdings and will no longer be so susceptible to exploitative negotiation tactics. Despite its relative peace and geographical proximity to areas of foreign security interest, including the Arabian Peninsula and East Africa, Djibouti could lose its primacy as a host for foreign basing if Eritrea presents a viable alternative to international powers. If the Eritrean economy recovers to an extent that it is capable of hosting foreign military bases, Guelleh might have to renew old relations, such as with the UAE, to supplement the potential loss of earnings. Even the threat of moving a base to Eritrea would be a serious negotiating chip in the favour of foreign powers in determining lease agreements. The regional détente has prompted a mass exodus of migrants and refugees. Migration, whether by refugees or otherwise, is nothing new to Eritrea. Arbitrary imprisonment, systemic repression of dissidents, and compulsory indefinite military service are well-documented and have prompted almost half a million citizens to flee the country. Eritreans already represented the ninth-largest refugee population in the world in 2017 — with softer regional borders, their place in this ranking is expected to rise. Nearly 10,000 individuals arrived in Ethiopia and declared asylum between September 12 and October 2 alone, and Addis Ababa’s refugee processing resources are increasingly strained. Besides the financial imposition, it remains to be seen how the refugees will be received socially. Although Eritreans have been relatively welcome in neighbouring countries, historical status as persona non grata in Israel is a troubling indicator of how those fleeing might be received elsewhere. Asmara might attempt to entice Eritreans home in an effort to beef up the workforce and legitimise Afwerki’s government. The recent decision to cap the military conscription period to eighteen months suggests a potential pivot in this direction. However, after enduring the repression of Afwerki’s administration, poverty, and now rumours of Eritrean officers hunting for defectors, any effort on Asmara’s behalf to encourage the return of Eritrean citizens living abroad would simply be too little, too late. While a wave of enthusiasm for peaceful relations is holding these deeper underlying concerns at bay, the steadfast support of the leaders involved — and the keen eye of international bodies — will be critical to ensuring the agreements can be sustained.